As spring draws near, retailers are getting all the more eager to move winter inventory off store shelves. For shoppers, that means now is the perfect time to purchase cold weather essentials (and some other great products) at huge discounts. Now through Feb. 21, the department store Nordstrom is featuring a Winter Clearance Sale with discounts of up to 40% off on select styles for men, women and children. So what will 40% off get you? 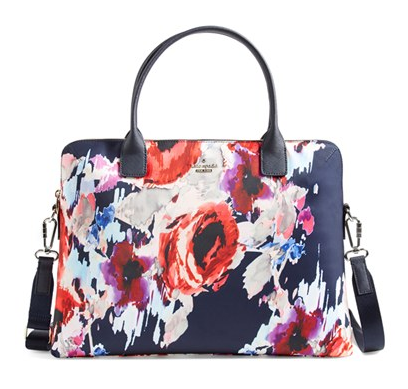 We spotted the Kate Spade New York Hazy Floral Daveney Laptop Bag on sale for $148 (regularly $248). For men, the Cardinal of Canada Wool Jacket has been reduced to $296.98 (regularly $495). Visit the retailer’s website to browse the full clearance selection. Remember that Nordstrom offers free shipping on most products (with no minimum purchase). For more tips on how to shop at Nordstrom, check out our best advice in our Nordstrom Store Guide. Find this deal at Nordstrom.